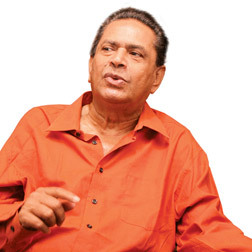 Tony Ranasinghe is more than a household name in Sri Lanka. The contributions he has made to the sphere of art over many decades have made him a living legend. He is a man surrounded by awards and accolades. What makes Tony a lovable person is his great sense of humour. The trademark smile and thick eyebrows which made him one of the best looking actors in Sinhala cinema still hold their magic. The cinema, stage and teledrama actor, script writer, author, producer and director, all rolled into one, is a great lover of music too. “Listening to good music creates serenity in one’s mind,” he says. Q: The latest news about you is that you have written the screenplay of Sumitra Peries’ new film, ‘Vaishnavee’. A: I wrote the scripts of ‘Awaragira’ and ‘Duwata Mawaka Misa’ for Lester and Sumitra earlier. Lately, I have thought of concentrating on a couple of very serious movie scripts. Unlike teledramas, they leave a lasting impact. This story was originally sketched by Dr Peries. It is about a puppeteer. I was privileged to be the script writer. I have introduced many aspects in my screenplay to make it more indigenous. It will surely entice the audiences to make them feel as if a puppet has come to life! We need trend-setters in this field which has a very small market. If you look back, ‘Sujatha’, ‘Sikuru Tharuwa’, ‘Kurulubedda’ and ‘Rekhawa’ set a trend though they were not masterpieces. Striking a balance between arty and commercial films is ideal for our market. I have a gut feeling Sumitra’s film too will create a different trend in Sinhala movies. Q: Are actors born or made? A: It is a complex question. I personally feel, the oldest profession in the world is nothing else but acting. How did our ancestors communicate with each other? Acting had been there for the purpose of communication. It had been there in our genes from the primitive days. Charlie Chaplin had said, to be a successful film actor, you need only 25 percent talent and 75 percent luck. If any guy who is persevering and has an iota of talent, he or she could definitely work on it. Actors groomed by acting schools are typecast in roles most of the time. You can learn basic points in acting from a school, although you should not confine yourself to one method of acting. Three Shakespearean actors in three places in the world would project ‘Hamlet’ in three different, yet credible ways. There is such variety in acting. Some method-crazy actor could play havoc with the character. These people must see Sir Laurence Olivier on stage. Acting remains the same though there could be various tags attached to it. Acting is a stream and you must have a dip to get the feeling. There is a book called ‘Life and Lies of Stanislavsky’. In it is said, the best way to play a character is to play it the normal way. Q: Who do you think are the best actors of the bygone era of Sinhala cinema? A: Actors who knew their audience always did well. If you take Shivaji Ganeshan or Rajni Kanth, they knew their audience. Our own Gamini Fonseka catered well to his audience. He had two types of audiences. Therefore he did ‘Nidhanaya’ and ‘Chin Chin Nona’. Gamini did his own stunts. He knew what his producer and the fans wanted from him. He was undoubtedly the best actor Sinhala cinema has produced. I was his critic and friend. He was also my guru. Once I told him, “Gamini, you have played Gamini Fonseka instead of Saviman Kabalana in ‘Yuganthaya’”, and he said, “Ahh, there was nothing to play in that role man. Let’s have a drink.” Later I realized he was right. Domie Jayawardene was definitely one of the most versatile actors. Unfortunately, he was an under estimated actor. 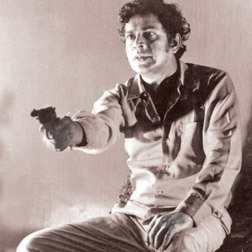 Most of his films were directed by South Indian Directors. He however managed to control his acting without raising eyebrows which was a difficult task in that particular context. Along with him came David Dharmakeerthie, D R Nanayakkara and Shanthi Lekha. 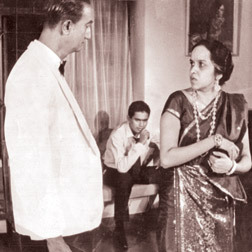 Michael Sannas Liyanege of ‘Ashokamala’ fame too was a fabulous actor. 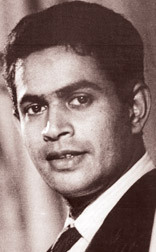 Ananda Weerakoon was the most handsome Sinhala actor I have ever seen. 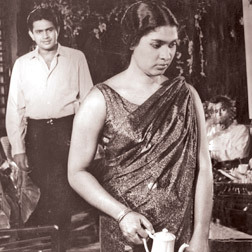 Ananda Jayaratne could not differentiate between acting and behaviorism. Smoking a cigarette and sending circles of smoke up in the air are little mannerism and behaviorism and not acting. Q: How did cinema personnel manage to work on very tight schedules in the 60s and 70s when the levels of communication and transport were poor? A: The credit should go to particular production managers. Cinamas Studio, Ceylon Studios and film companies had very good production managers. Neil Rupasighe was a man who meticulously planned films. His shooting schedule starts from the Muhurath day itself. If the call sheet says shooting starts at nine in the morning, it will start promptly. The slow vehicle will be at our doorstep at seven to take us to Timbuktu. We will be all be there at the location, made up and ready for the shot at nine. The actors respected the directors and producers. Everything flew smoothly at that time. Discipline was maintained in the sets. If there were two songs to be shot on a particular day, all of them concentrated only on that and nothing else. There were no mobile phones to distract damsels unlike in today’s teledrama shooting sets. Q: The characters you portrayed in ‘Delowak Athara’, ‘Ganga Addara’ and ‘Saptha Kanya’ were totally different from each other. A: The common accusation against me is that I am sort of a monotonous actor but I always took the trouble to differentiate roles. I had to play my roles in ‘Delowak Athara’ and ‘Hanthanae Kathawa’ in a subtle way to make them unique. In ‘Saptha Kanya’, I come across as an arch villain. A certain director had said, “Tony had done a fine role but he had done a little mistake by changing his ‘voice’ instead of getting somebody else to dub”. I told him to go and fly a kite. Q: You have been associated with stage dramas. Shylock in ‘The Merchant of Venice’ inevitably comes to mind as one of your outstanding performances. In my first stage drama ‘Bodinkarayo’, I played an average young man and in my second drama ‘Thattu Gewal’, I played an ageing homosexual. Any other young actor wouldn’t have risked that. That was followed by ‘Harima Badu Hayak’ , Namel Weeramuni’s ‘Virupi Rupa’ and a couple of other dramas. When I look back I feel sorry that I did little on the stage. That was where I was supposed to be. If I was financially free at the time, I wouldn’t have touched cinema except for some good roles like ‘Delowak Athara’. I ought to have devoted my entire career to the stage. I now feel, I have done some injustice to the stage. Sri Lankan movie lovers will be in for a treat when the first Vietnam Film Festival takes to the screen in Sri Lanka. The film festival will be held from February 15 to 19 at the National Film Corporation cinema hall. Addressing the media regarding the event NFC Asoka Serasinghe said that this would be a new experience for local movie buffs. 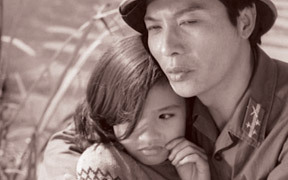 The Vietnam Film Festival is the first foreignfilm festival to be held in the country in 2012. “The festival would help us to strengthen our diplomatic ties with Vietnam. This is one of the main cultural activities organized by the recently established Vietnamese Embassy. It will help Sri Lankans to get a better picture of Vietnam and would contribute towards cultivating relationships between the two countries”, Serasinghe added. “Vietnam has a great war history.Most of their films are related to the war. Most of the films were nominated for international awards and some of them have even clinched the prizes. Vietnam is one of the developing countries in the Asian region. We need to enhance our friendship with the nation,”he said. Vietnamese Ambassador in Sri Lanka Tom Sing Tan said that this is the first cultural activity undertaken by the embassy. “We are offering a very good collection of Vietnam movies which will emphasize the bravery of our country. We also hope to organize more activities with the National Film Corporation in the future,” he noted. Mass Media and Information minister Dr Keheliya Rambukwella will grace the inauguration of the event which will be held on February 15. Entertainment and celebrations were in order when LankaFaces launched its website www.lankafaces.com at a gala event held recently at the Cinnamon Grand Hotel. A fusion of drum beats and violin performance were part of the opening events of the ceremony amid many cinema artistes, directors, make up artists, models, photographers and other popular faces in the entertainment industry. The website comprises profiles of celebrities in the country. You get professionals from cinema, music, media and other entertainment zones all on one page as you browse the website. This makes networking easier among the groups and opens a platform for local talent to be showcased to the global audience. The information of all those professionals who register with the team will be just a click away and opportunities for our artistes to display their capabilities will be at their fingertips. This makes it easier to simplify casting, discovering new talent and getting the most accurate information about a particular individual in a short span. “We offer a wide range of services and will be adding more artiste categories to the website,” LankaFaces CEO Dulanga Perera said. He also added that the team would contact each user and check up on their information and updates to avoid fake profiles or information from being added to the site. Those who wish to register are requested to visit the site and fill in the information. Then they would have a meeting with the site operators to ensure their authenticity. Once they pass this test, the user will receive 100 LankaFaces business cards with an identification number called SpotMe#. Each word encompasses a digital barcode on the back. This is unique to each user and allows anyone to take a snap shot of it with their mobile phone and upload it to the internet. Once you click on the barcode you will gain instant access to the individual’s profile. It’s that easy! Many would claim that to make an artistic cinematic creation, one would need a grand budget but these individuals have proved otherwise. Propelled by their creative thirst, they showed that simple technological gear and burning ambition are enough to weave magic through the art of cinema. The budding, young local film-makers proved that the future of Sri Lankan cinema is in good hands, as they showcased their creative talents recently at the ‘Sri Lanka Youth-Cinematic Harvest Film Festival’. The festival was organized by the National Youth Services Council and the Youth Affairs and Skills Development Ministry. Around 74 short films and 14 documentary film scripts were included in the competition, out of which 10 short films and 10 documentary films qualified for the final round. The participants were also given the exclusive opportunity to participate at a special three day workshop conducted by veteran film-makers such as Prasanna Jayakody, Vimukthi Jayasundara and Prasanna Withanage. The participants of the final round were handed awards at a grand award ceremony which unraveled at the National Film Corporation cinema hall. The awards were given under both documentary and short film categories. 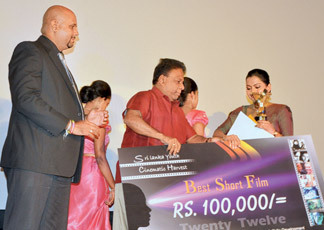 Aspiring young film-maker, Anoma Weerasekara’s creation ‘Blood’, won the award for the best short film. The second place went to M R Wijeysinghe for his film ‘Edit and Send It’. The third place was won by S S Dasanayaka for ‘Duduwama’. Prabath Aravinda’s ‘Imagine’ and Shanaka Bodiya Baduge’s ’35 c’ won jury awards. From the Documentary segment, Saminda Aththanayaka walked away with first place for his documentary film ‘Ritipanna’. The second place was won by Sampath Thennakon for his creation ‘Mission in a Mobile Phone’. The third place was won by Mahesh Janaka Ranasinghe for his documentary film ‘Coffin’.